Robert Peck has rated Twitter a total of 32 times since 2013, earning a 94% success rate recommending the stock and a +40.8% average return per recommendation when measured over a one-year horizon and no benchmark. 2. Peter Stabler of Wells Fargo last rated Twitter on June 12, maintaining a Market Perform rating on the stock but decreasing his valuation range from between $42 and $44 per share to between $36 and $38. Stabler cited “continued uncertainty on user growth and increased risk of disappointing on third quarter guidance” as the reasons behind his rating. 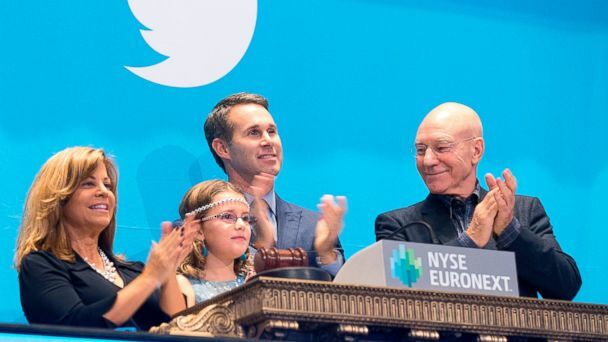 Peter Stabler has rated Twitter a total of four times since 2010, earning an 100% success rate recommending the stock and an +37.5% average return per recommendation when measured over a one-year horizon and no benchmark. Ben Schachter has rated Twitter a total of six times since 2010, earning an 100% success rate recommending the stock and a +20.5% average return per recommendation when measured over a one-year horizon and no benchmark. Arvind Bhatia has rated Twitter a total of 10 times since 2010, earning an 100% success rate recommending the stock and an +18.5% average return per recommendation when measured over a one-year horizon and no benchmark. 5. Scott Devitt of Stifel Nicolaus last rated Twitter on May 4, upgrading to a Hold rating on the stock. Devitt laid out “three factors [that] lead [him] to believe that the next leg for Twitter shares may take an extended period, possibly beyond [the] 12-month ratings horizon[:]” 1) the possibility of Google Inc. buying Twitter; 2) a new CEO, which investors believe could help the stock; and 3) product changes, which attract media and investor attention. Scott Devitt has rated Twitter a total of 12 times since 2009, earning an 100% success rate recommending the stock and an +16.7% average return per recommendation when measured over a one-year horizon and no benchmark. Out of 28 analysts polled by TipRanks, 10 analysts are bullish on Twitter and 18 are neutral. The average 12-month price target for Twitter is $45.05, marking a 27.19% potential upside from where the stock is currently trading. On average, the all-analyst consensus for Twitter is Hold. Next article3 Things to Look for in Facebook’s Report.